Have you ever wondered what would happen if the earth was tilted a little more than 23.5 degrees? Or maybe not tilted at all? 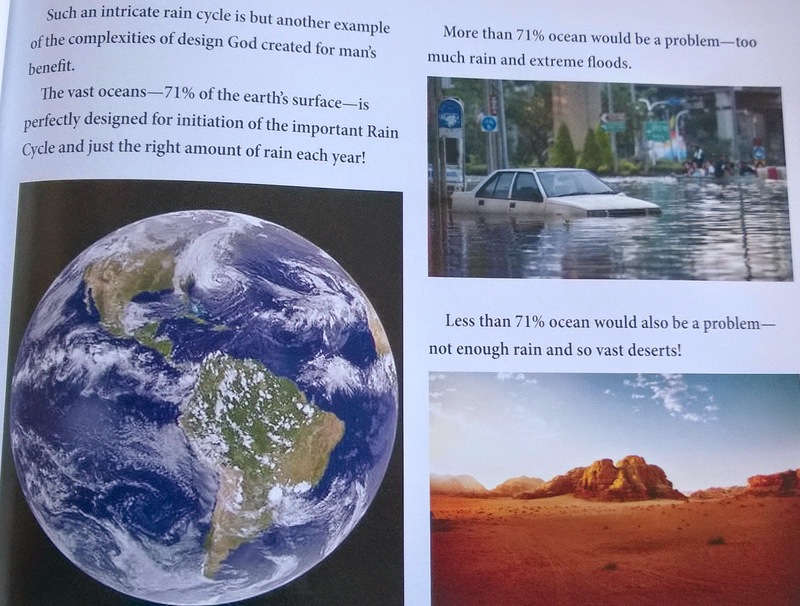 Do you know what would happen if the earth was covered in more than 71% of water? How in the world does ice float, and why do camels have those weird looking humps? Our latest review answers all these questions and more! 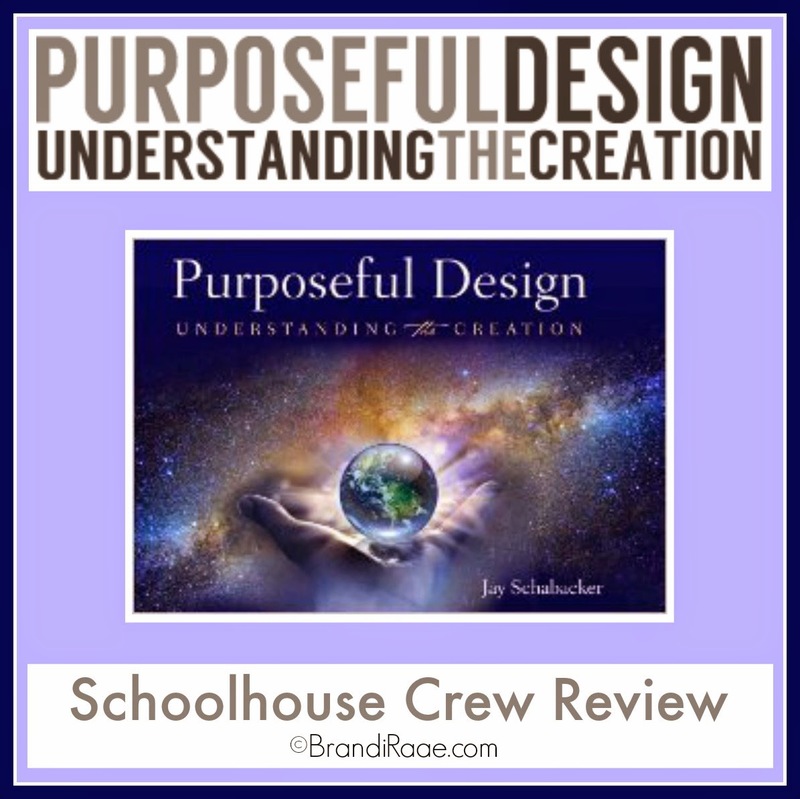 Purposeful Design sent Schoolhouse Review Crew members Purposeful Design: Understanding the Creation, an award-winning hardback book by Jay Schabacker, entrepreneur and former aerospace engineer. This beautifully illustrated book takes readers of all ages on a journey through the seven magnificent days of creation. 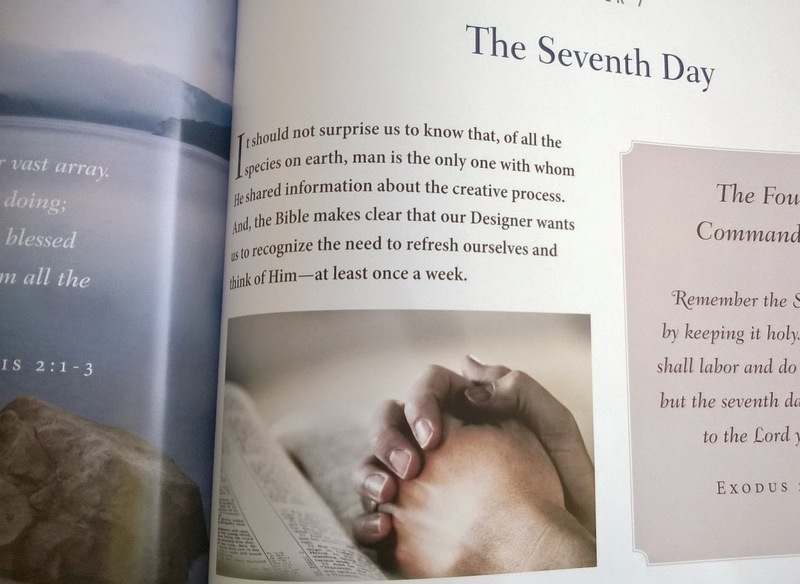 Each chapter records fascinating facts about what was created on each day, and each page gives overwhelming evidence that points to an all-powerful, personal Creator who designed our world with precision and purpose for our pleasure. The author quotes Bible verses from the creation account in Genesis, discusses scientific laws that govern our world, and analyzes features of our earth's composition that enable life as we know it. From the orbit of the moon and the second law of thermodynamics to the instincts of birds and the human cell, he takes complex concepts and explains them in a way that even younger readers can comprehend. By the end of the book, readers will understand the author's message that God isn't just an intelligent designer but a purposeful designer who loves us. The book is a little over 90 pages long and is divided into 7 chapters. 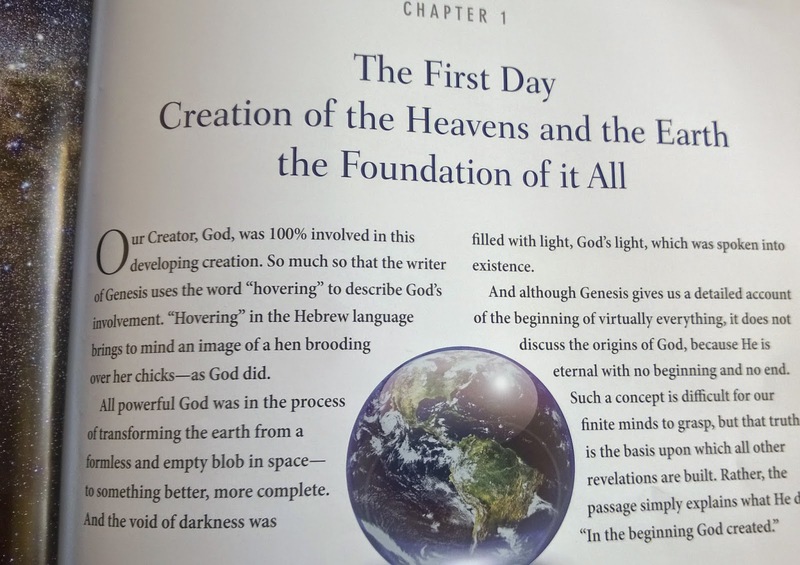 In Chapter 1, The First Day: Creation of the Heavens and the Earth the Foundation of it All, you learn more about God's involvement in the creation process and what keeps our solar system moving. Quotes from Albert Einstein and facts about the earth's orbit and rotation are included, too. In Chapter 2, The Second Day: Creation of the Atmosphere and Water, you learn about two types of water - liquid and gas, the 10 steps of the "Rain Cycle," and how much water covers the earth's surface. 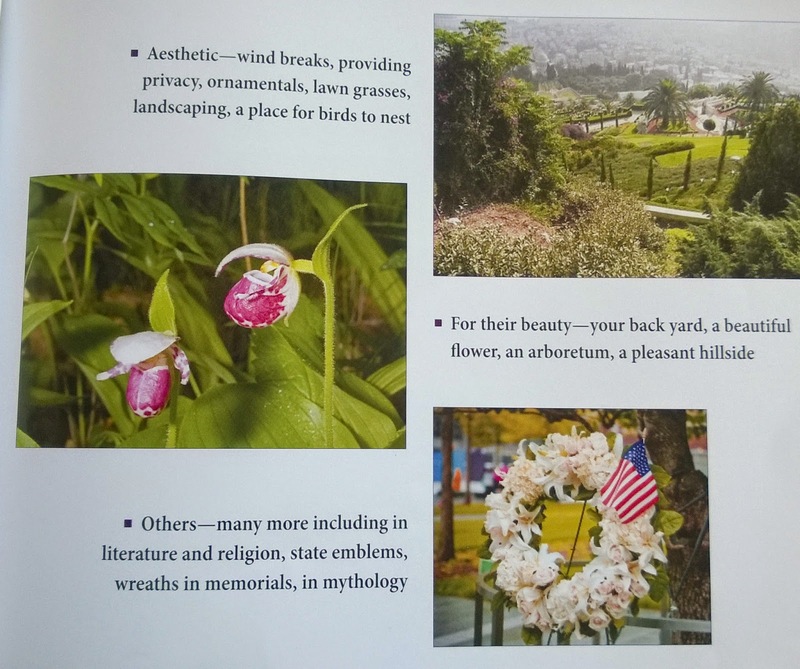 In Chapter 3, The Third Day: Creation of the Dry Land and Vegetation, you learn about the many benefits that plants provide for humans, everything from food to beauty. In Chapter 4, The Fourth Day: Creation of the Sun, Moon, and Stars, you learn about quite a bit! This chapter is about 4 times as long as the previous 3 chapters. 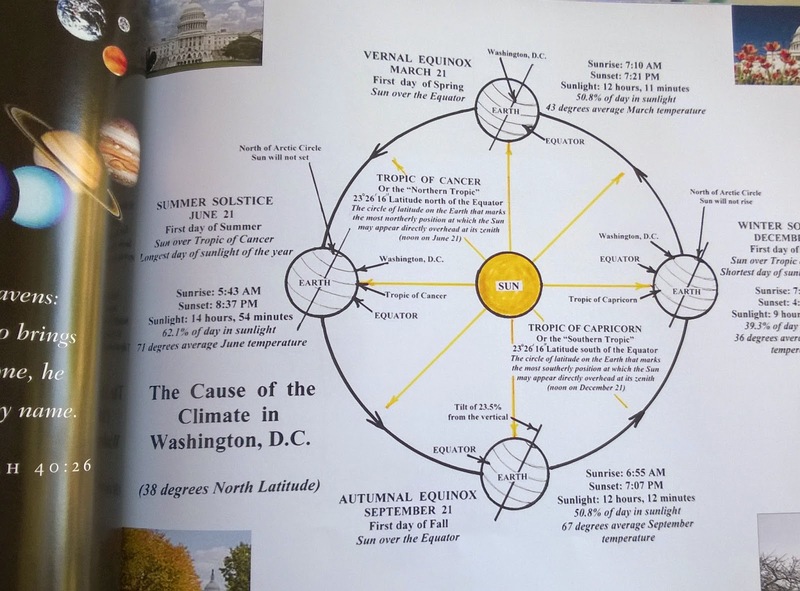 You learn about the cycle of the seasons and why it is important, about the sun rise and sun set and why it is approximately the same time year after year, and about the earth's perfect tilt. You learn about the benefits of the moon, its phases, and how it affects the tides. You also learn about the stars - how many there are and how they are used in celestial navigation. 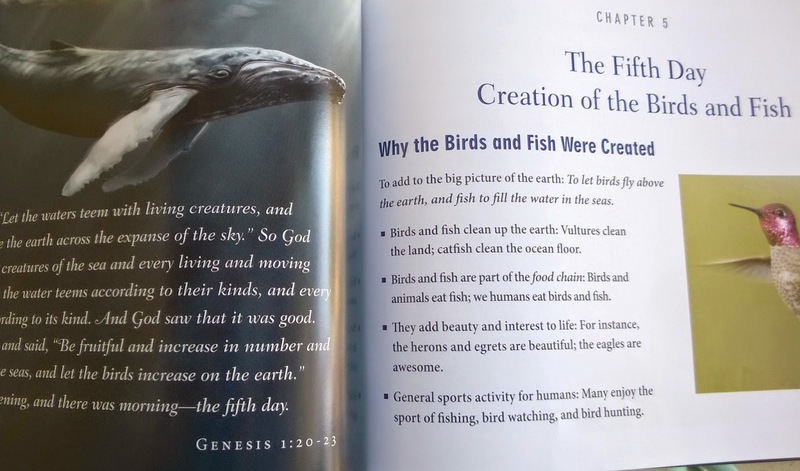 In Chapter 5, The Fifth Day: Creation of the Birds and Fish, you learn about why birds and fish were created, their preprogrammed instincts, how fish swim, and why ice floats. I love the pictures of the unique and very humorous sea creatures included in this section! In Chapter 6, Creation Day Six: Creation of Land Creatures and Humans, you will learn about two amazing land animals - cattle and camels. You will also learn a lot about humans - this is another long chapter. You'll read about our wonderfully made bodies: blood clotting, cells, mother's milk, the brain, and the perfect design of the head. In Chapter 7, The Seventh Day, you learn about the importance of rest. This is a very short chapter that includes Exodus 20: 8-10 and several other Bible verses. In addition to the book, Purposeful Design provides a wonderful resource for older elementary children called the Young Explorer's Club. 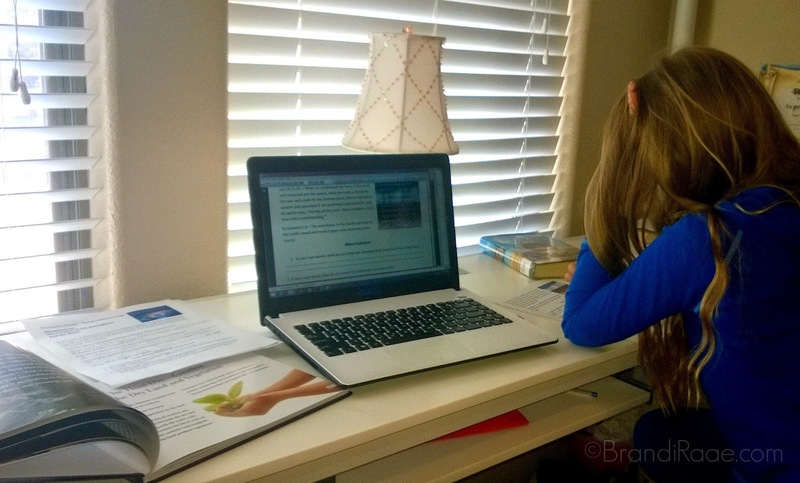 This is a workbook curriculum designed to go along with each chapter in the book. It contains a Kid's Workbook, Teacher's Set, and a Certificate of Completion that can all be downloaded free of charge from their website. 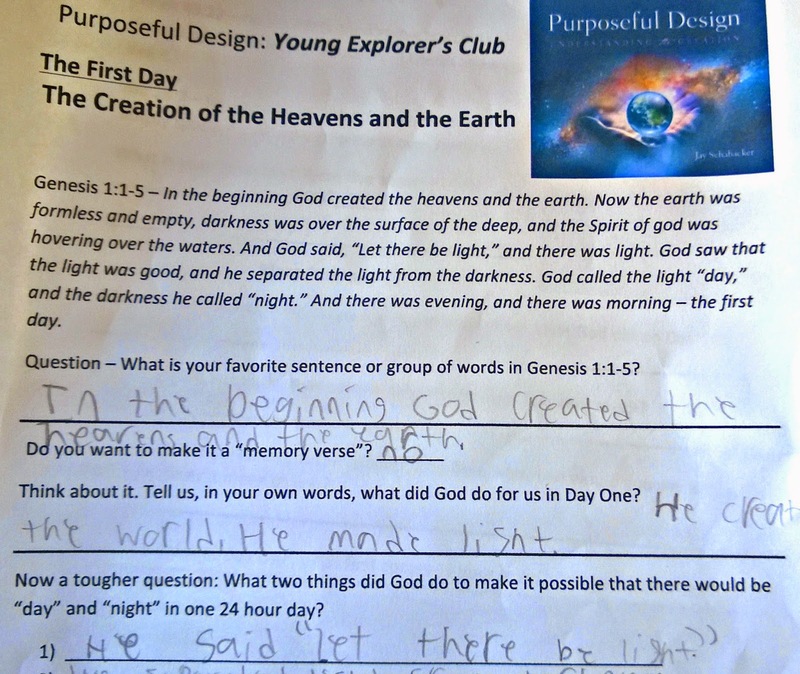 Workbook pages follow a predictable format beginning with the Scripture associated with that day of creation. Next, there are a few questions pertaining to the Bible verse. After that, there is a set of fill-in-the-blank comprehension questions relating to the chapter in the book. Then, there are several additional Bible verses provided for your child to read and reflect upon before answering a few more questions - mostly just giving opinions about which is her favorite verse and why, and what was most amazing about what God did on that particular day of creation. 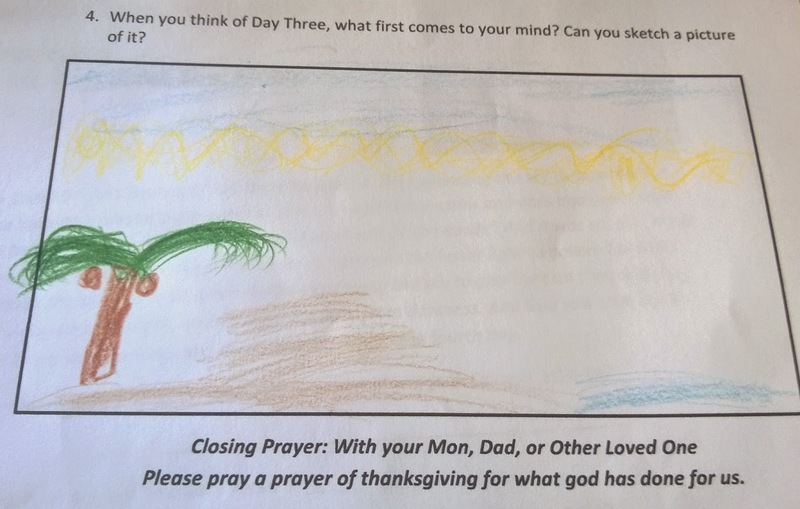 The last exercise gives your child the opportunity to draw what comes to her mind when she thinks of the creation day just studied. 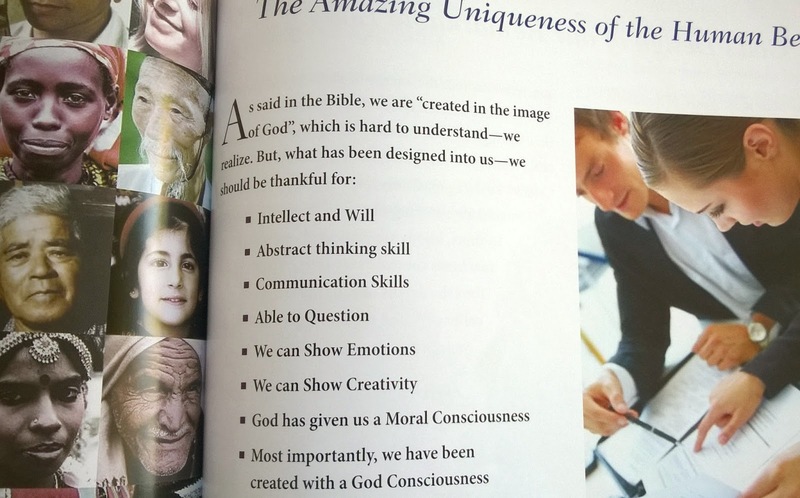 I think Purposeful Design: Understanding the Creation is a wonderful tool to use when learning about creation according to God's Word. It's a nice enough book to have out on display as well. The illustrations are beautiful and definitely enhance the learning process. It's a great read-aloud book that will appeal to readers of all ages, but some of the information might be a bit advanced for younger children. The pictures might help to keep their attention, though! I read much of the book aloud to my 9-year-old daughter, but she did read some of it on her own. We took a break from our regular science curriculum to spend ample time on this book and the complimentary workbook pages. 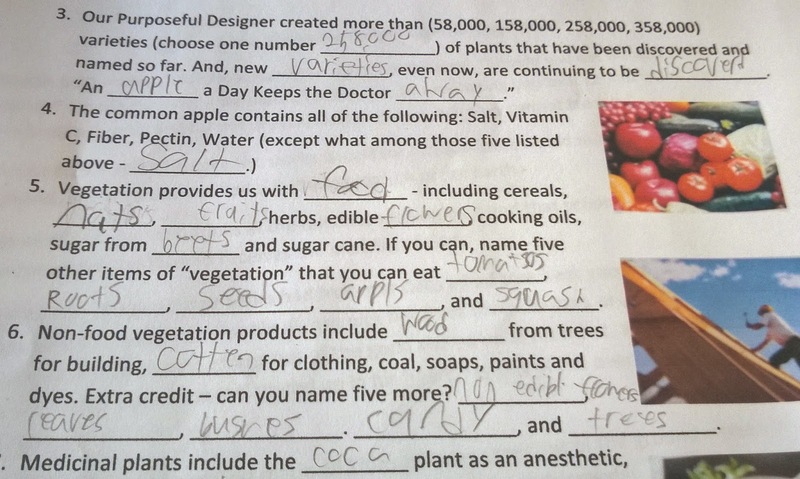 While my daughter doesn't like anything having to do with comprehension questions, I still had her complete them. I especially liked the additional Bible verses and questions that asked her opinions. Because of all the reading and writing involved, I'd say the curriculum part is best suited for kids at least in third grade and up. For those who may be sensitive, I also want to mention that there is a picture of a mother nursing her baby where the text talks about the benefits of mother's milk. While it's not extremely revealing, there is partial exposure. I will leave it at that, but I'd rather mention it than have someone buy the book and be offended that I didn't say anything. You can purchase this book for $18.95. (25% off retail.) Discount prices are available on bulk purchases. Visit the website for details. To see what other members of the Schoolhouse Review Crew thought, click the banner below!